3. Tenant Credit Application: Tenants can use a form to apply for credit. 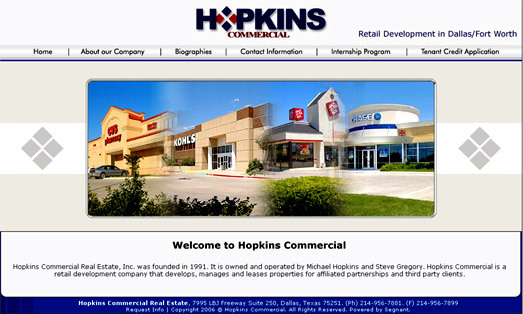 Segnant made the Hopkins Commercial site simply and straight to the point. It conveys the key information important to their customers.